PhD comps are taken by PhD students while MBA comps are taken by masters’ students. The exams are not a preference for many and cause some form of anxiety due to their unpredictable nature. 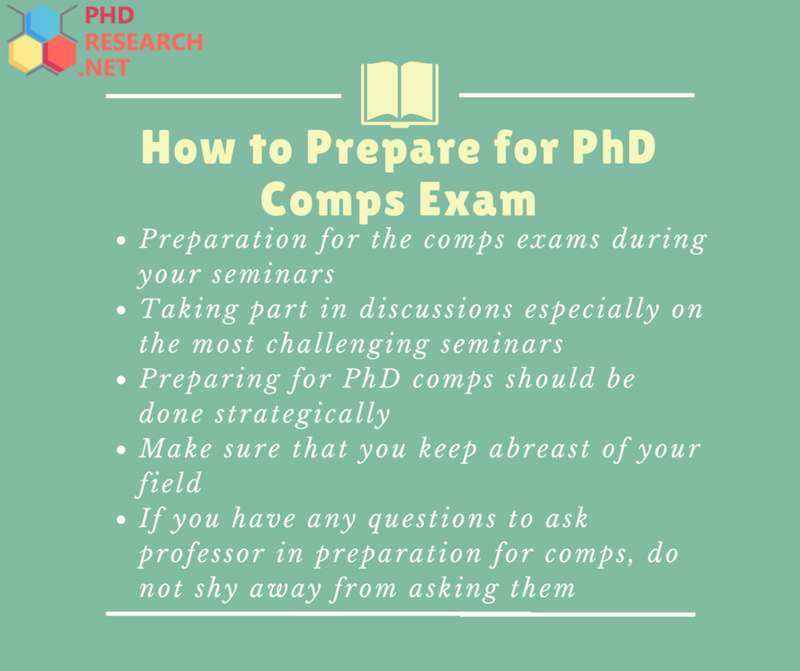 A doctoral student takes PhD comps which are mostly grouped into a series of written exams on a particular subject matter they are studying and researching about in their previous tears of the doctoral program. The final exam is given such that you either pass or fail and therefore to be given the go-ahead to proceed with the program, you must pass a minimum number of units. What are comps in PhD? 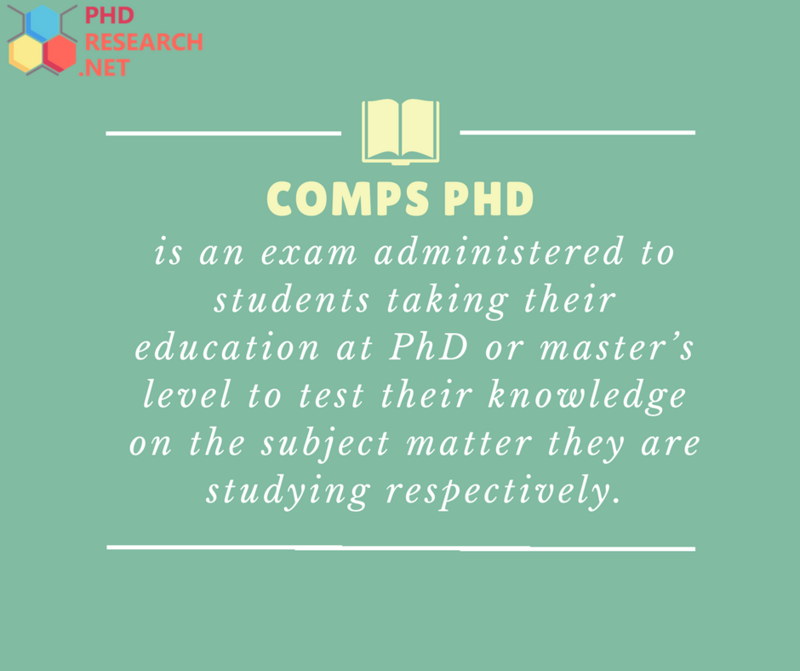 A comps PhD or master’s PhD exam is an exam administered to students taking their education at PhD or master’s level to test their knowledge of the subject matter they are studying respectively. They are meant to test the readiness of a student and how well they know what they are studying. In most cases, the students are required to take the exams before submitting their dissertation proposal and passing the warrants them to continue with their dissertation. Basically, they are tested if they are worthy enough to continue with and complete a particular graduate degree program. A comps PhD may vary in different institutions within different locations as well as in different departments and faculties within the same institution. It is up to the examining committee to determine and come up with the standard formats and requirements of the respective exam. The comps exams also differ among different graduate programs both at masters and PhD level. This might be in terms of detail, depth as well as expectations for each. In some cases, well-researched detail might be needed while in others general knowledge might be needed from the student. What are PhD comps like? In these form of comps exam, you will be expected to discuss points on the basis of the research project you are working on. A level of professionalism has to be developed as well where you site reference materials from coursework that has also been written previously from both classic and current references. The format for taking these exams varies among different institutions as well as faculties. The most common formats are written examinations, oral examinations or both. The exams are usually taken in one or more test periods. Passing your respective examinations allows you to use the doctoral candidate and at this point, you are assured that you can take on the dissertation which is the final hurdle that you have to surpass. Here, you have more control over what you are doing and you do not have to consult as often. There are quite a number of items that are only specific to comps exams. These include the timing of these exams, the format as well as the requirements. A mention of the particular dates when the comprehensive examinations are taken which is basically the starting and finishing dates for the exams. The mention of the dates of the exams to the students in good time to make sure they have done adequate preparations and to avoid cases of complaints in future in the case where students fail. There is a requirement that the exams be done early in the program. The prerequisites that lead to the examination are supposed to be clearly stated and specified. This include clarification of whether all coursework has been written, laboratory sessions and seminars have been attended among other specifics. All these are supposed to be attended to, to give you permission to sit for the exams. Comps exams take many forms and sometimes it might take a combination of two or three forms. Preparation for the comps exams during your seminars. Make sure that whenever you come across a paper, pen down a summary of the research question as well as the main points being discussed. It is also important how the question was tackled and how the solution was arrived at and what the conclusions and recommendation from the study were. When time comes, you will only need to go through your summary and this will save you a lot of time and effort. Taking part in discussions especially on the most challenging seminars. Volunteering in this way and making sure that you are involved helps in making sure you get familiar with the difficult bits and therefore you know how to exactly deal with them when exam time comes. 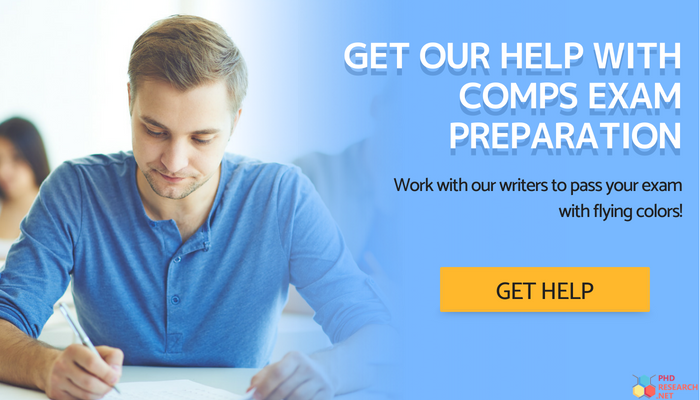 You will know the right literature to use as well and the time spent in learning the most difficult papers will be time well spent since you will be better prepared for the comps. Preparing for PhD comps should be done strategically. You are supposed to create a reading list on your own in many institutions and therefore you are supposed to do so decisively. The list could include journal articles and review papers and therefore proper organization is key so that you have an easy time synthesizing the information and recalling the information being communicated easily. This however only happens where you arrange information chronologically in terms of topics and there is a logical order in terms of how points flow. Make sure that you keep abreast of your field. In comps preparation, this is very important since you will have an easy time while studying for the exams since already you have a lot of general knowledge that could be tested with you. You should also acquaint yourself with the latest changes and developments in your field as well as read on the latest research projects and controversies. This information is readily found in journals as well as in the dailies. If you have any questions to ask professor in preparation for comps, do not shy away from asking. Feel free to make a list of questions to ask professor in preparation for comps. This is important since they will provide helpful insight especially on areas which are not very clear and if you face the same questions in your comps exam, you will know exactly how to face them. Our team of experts is made up of people who have perfected their art and are best at what they do based on the years of experience they have. They are qualified and therefore you do not have to worry about the quality of the output and the guidance that we provide. As soon as we have an agreement, we make sure that we work on the task within the stipulated time and submit it as well to avoid incidences whereby we are late to submit the work. We also submit it so that you have ample time to go through it and you can advise us on changes if you need any of them made. There is absolute information confidentiality with our team and we guarantee you that you will not find information we have agreed on or worked on with anyone else. Disclosure of clients’ work and details is an offense we take seriously. Our output is well thought-over and researched so that it is 100% original and it is plagiarism free as well. Our team does deep research and comes up with original content from scratch. If you need any form of guidance or assistance with your comps exam, contact us and we will gladly help you out and make sure you pass it with flying colors! ← Applying to PhD Programs without Research Experience: Is It Possible? I am really satisfied with all the work done on both documents! I am ready to recommend your services to my friends. I really appreciate your outstanding service !!! Thanks a lot to the writers and to your team !!! !